Melbourne is known for museums, shopping, parks, zoos & aquariums, and nightlife. Your plan includes some of its best attractions: admire the natural beauty at Royal Botanic Gardens, get lost in a book at State Library of Victoria, meet the residents at Melbourne Zoo, and enjoy breathtaking views from Eureka Skydeck 88. Zurich, Switzerland to Melbourne is an approximately 25-hour flight. You can also do a combination of flight and train. The time zone changes from Central European Time (CET) to Australian Eastern Standard Time (Victoria) (AEST), which is usually a 9 hour difference. In March, Melbourne is much warmer than Zurich - with highs of 30°C and lows of 15°C. Wrap up your sightseeing on the 20th (Wed) to allow time to travel to Katoomba. 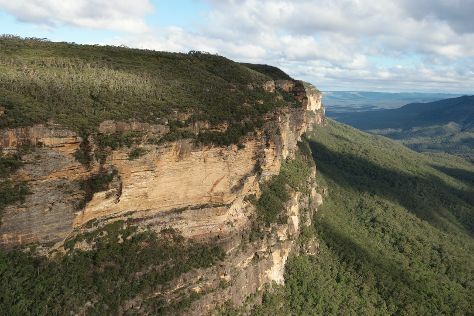 Start off your visit on the 21st (Thu): don't miss a visit to Echo Point Lookout, admire the sheer force of Wentworth Falls, then admire the masterpieces at Norman Lindsay Gallery & Museum, then get to know the fascinating history of The National Pass, and finally admire the sheer force of Bridal Veil Falls. On your second day here, take in nature's colorful creations at Everglades Historic House and Gardens, then don't miss a visit to Gallery Blackheath, then get great views at Govetts Leap, and finally scramble along the landscape with a canyoning and rapelling tour. For more things to do, traveler tips, and tourist information, you can read our Katoomba online travel route planner . You can do a combination of flight and train from Melbourne to Katoomba in 6 hours. Alternatively, you can drive; or take a train. In March, daily temperatures in Katoomba can reach 31°C, while at night they dip to 19°C. Finish your sightseeing early on the 22nd (Fri) to allow enough time to drive to Sydney. Sydney is known for nightlife, trails, beaches, parks, and museums. 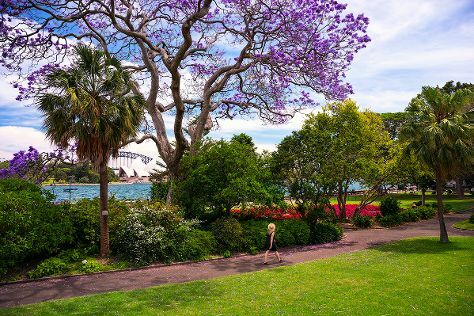 Your plan includes some of its best attractions: admire the natural beauty at Royal Botanic Garden Sydney, listen to music at Sydney Opera House, wander the streets of Darling Harbour, and hike along The Opera House to the Botanic Gardens Walk. To see more things to do, ratings, other places to visit, and more tourist information, use the Sydney trip itinerary planner. Getting from Katoomba to Sydney by car takes about 1.5 hours. Other options: take a train. In March, daily temperatures in Sydney can reach 30°C, while at night they dip to 22°C. Wrap up your sightseeing on the 26th (Tue) to allow time to travel to Byron Bay. 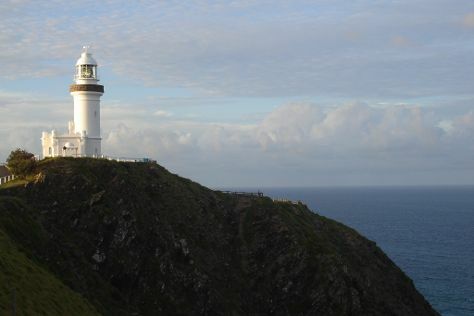 On the 27th (Wed), take in the exciting artwork at Thomgallery, then indulge your thirst for a good beer at Stone and Wood Brewery, then enjoy the sea views from Cape Byron Lighthouse, and finally hike along Cape Byron Walking Track. To find photos, where to stay, ratings, and tourist information, go to the Byron Bay trip app . Traveling by combination of flight and bus from Sydney to Byron Bay takes 4.5 hours. Alternatively, you can drive; or do a combination of train and bus. March in Byron Bay sees daily highs of 32°C and lows of 20°C at night. You will have some time to spend on the 28th (Thu) before leaving for Gold Coast. 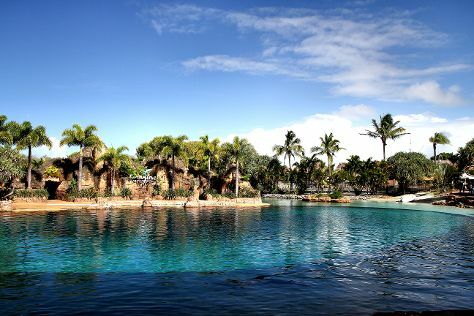 On the 28th (Thu), observe the fascinating underwater world at Sea World Theme Park. On the 29th (Fri), you'll have a packed day of sightseeing: find something for the whole family at Warner Bros. Movie World, then enjoy the sand and surf at Surfers Paradise Beach, and then get in on the family fun at Infinity Attraction. For maps, ratings, photos, and other tourist information, read Gold Coast trip itinerary maker app . Take a bus from Byron Bay to Gold Coast in an hour. Alternatively, you can drive. In March, plan for daily highs up to 32°C, and evening lows to 23°C. Finish up your sightseeing early on the 29th (Fri) so you can go by car to Brisbane. On the 30th (Sat), take in nature's colorful creations at Roma Street Parkland and then walk around South Bank Parklands. Here are some ideas for day two: look for all kinds of wild species at Lone Pine Koala Sanctuary, then take some stellar pictures from Mount Coot-tha Lookout, and then don't miss a visit to Wheel of Brisbane. To see reviews, photos, other places to visit, and tourist information, read our Brisbane visit planning app . You can drive from Gold Coast to Brisbane in an hour. Alternatively, you can take a bus; or take a train. 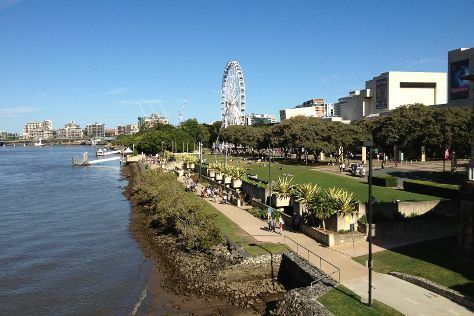 In March in Brisbane, expect temperatures between 32°C during the day and 23°C at night. Wrap up your sightseeing on the 31st (Sun) to allow time to travel back home.